Some of our dotCommerce ecommerce solutions clients have been getting great media attention recently and we felt it was only right to recognise that here on the blog! 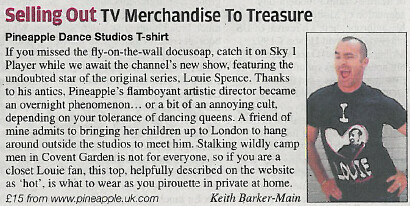 Pineapple Dance Studios has been profiled in the Metro with a link to the company’s new ecommerce site, designed by the dotCommerce team. Pineapple – who you’ll likely know from the hit Sky TV show – previously had two websites: one for the studio and one for their online shop. We combined the two, allowing them to offer valuable content and resources such as a studio timetable, while building in opportunities to cross-sell clothes in the store. After the site was launched, we analysed how visitors were using the site and made a number of usability enhancements, as well as integrating PayPal. These improvements contributed to an online sales increase of 25%! If dancing is your thing, then you’ll definitely want to pop over to www.pineapple.uk.com and get shopping! 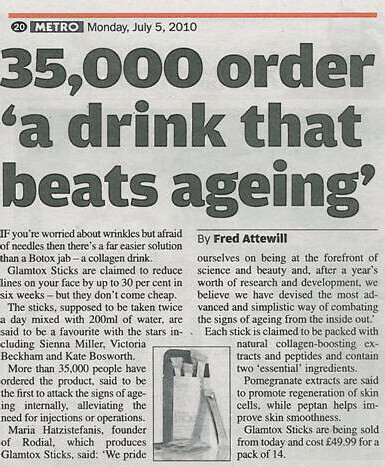 Rodial has also been in the news recently with the company’s pioneering Glamtox Sticks, that reduce lines on your face by up to 30%, proving a smash hit with the media and consumers alike! Rodial uses a number of dotDigital Group services including our ecommerce solution, email marketing and SEO. The company’s new website – http://www.rodial.co.uk/ – built by dotCommerce is a hands-down success, with orders and average basket values both doubling since launch. The site really does have everything you need to get you looking your best, so what are you waiting for?! We’re always delighted to hear about our customers’ successes, so give us a shout if you’ve got a story to share!